While consumers love Sauvignon Blanc, many in the trade treat it with disdain. But as our annual competition shows, in the right hands, this grape can create genuinely exciting expressions – at all price points, writes Patrick Schmitt MW. 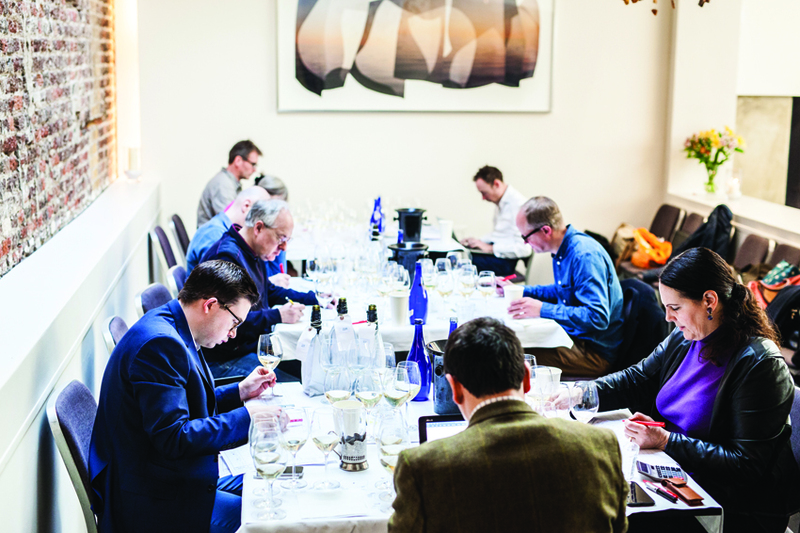 Towards the end of 2017 we held two of our biggest Global Masters tastings – the Sauvignon Blanc Masters and the Chardonnay Masters. You can read about the latter here. It is worth comparing the two grapes because they appear to show such contrasting image issues. While Chardonnay is loved by the trade but derided by consumers, Sauvignon Blanc seems to have the opposite problem: it’s mocked by professionals, and widely adored by the public. Why? Chardonnay’s issues are discussed in our report on this year’s competition for that grape, but when it comes to Sauvignon, the reasons are many and varied. 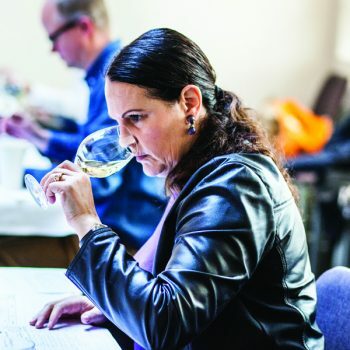 For a start, there is a misconception that this variety can’t produce great dry white wine; that it is limited in terms of style, and capped when it comes to the complexity of flavours it can produce. Furthermore, there’s a belief that Sauvignon is ill-suited to ageing in oak barrels – the traditional finishing touch for fine whites. Add the fact that it is hugely popular – making it a staple of supermarket shelves and by-the-glass offerings in pubs and bars – and there’s a snobbery regarding the grape. In short, there’s a sense that it lacks gravitas. As with all grapes, some entry-level offerings disappoint. With Sauvignon in particular, the weakest examples can be thin, herbaceous and acidic, sometimes mixed with a touch of residual sugar – a combination that would give any grape a bad name. But mostly, it is Sauvignon’s refreshing, and instantly recognisable pungency, even at low prices, that makes it distinctive, memorable and crowd pleasing. It has made greener characters in wine fashionable, a major development in the past decade, considering the most popular style of white at the start of this century was the creamy, buttery flavours associated with Chardonnay, particularly from the New World. And Sauvignon Blanc doesn’t just yield bright gooseberry and grapefruit flavoured youthful whites. It can deliver a broad array of characteristics, depending on where it is grown and when it’s picked. As this year’s Masters showed, it can create an extremely appealing style of white in cooler climates, when crunchy bell pepper notes can emerge from the glass, which may not be to everyone’s taste, but certainly bring instant refreshment and bags of character to the wine. At the other end of the spectrum, Sauvignon, particularly in warmer climates of Napa or Graves, can produce something pleasingly exotic, with notes of melon, pineapple and passion fruit, even an oily texture, which is balanced by this grape’s naturally high acidity. Then there’s the potential for creating something finer. Here too, where old vines in great Sauvignon terroirs are coupled with skilled winemakers, the results can be astounding. Sometimes the complexity comes mainly from the site, with chalky characters mingling with citrus and lemongrass notes in the great whites of the Loire. At other times it seems to emanate from the cellar techniques, particularly the use of oak in the great Sauvignons of California or Bordeaux, where ripe fruit complements barrel-sourced vanilla flavours beautifully. Finally, there are the blends, which highlight the potential greatness of this grape as a partner to others, particularly Semillon, but other varieties too – in this year’s tasting we sampled a wonderful wine combining Sauvignon and the native Greek grape Assyrtiko.